Release of "HISTORY" on May 27, 2016 - Thomas Anders Online - Die offizielle Fanpage! Finally the time has come! 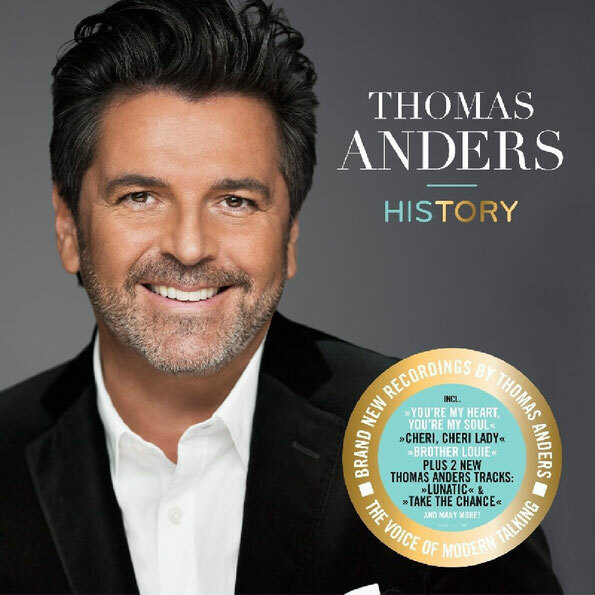 Thomas Anders will realise his new CD "HISTORY". A collection of world-famous Modern Talking songs which have been arranged and recorded completely new. Additional to these hits the fans can also looking forward excitedly to the brand new songs "LUNATIC" and "TAKE THE CHANCE".